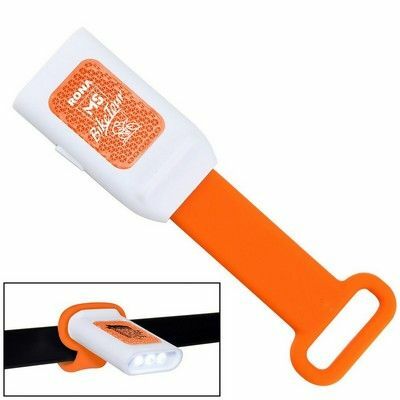 Biking around the city or country side roads could now become safer with this Wraparound Safety & Bike Light. Just wrap it around a bike handle, backpack, bag or even a belt loop and you are all set to go. Biking around the city or country side roads could now become safer with this Wraparound Safety & Bike Light. Just wrap it around a bike handle, backpack, bag or even a belt loop and you are all set to go. This safety bike light could be used as a flashlight or as a flashing reflector. It includes two replaceable CR1220 batteries. This is great for outdoor biking and trekking expeditions. Imprint your corporate logo and message on this innovative product and promote your branding in flashing style!